Larson Electronics, a leading industrial lighting company, unveils a new 36 watt high output LED spotlight for the avid hunter and fisherman. 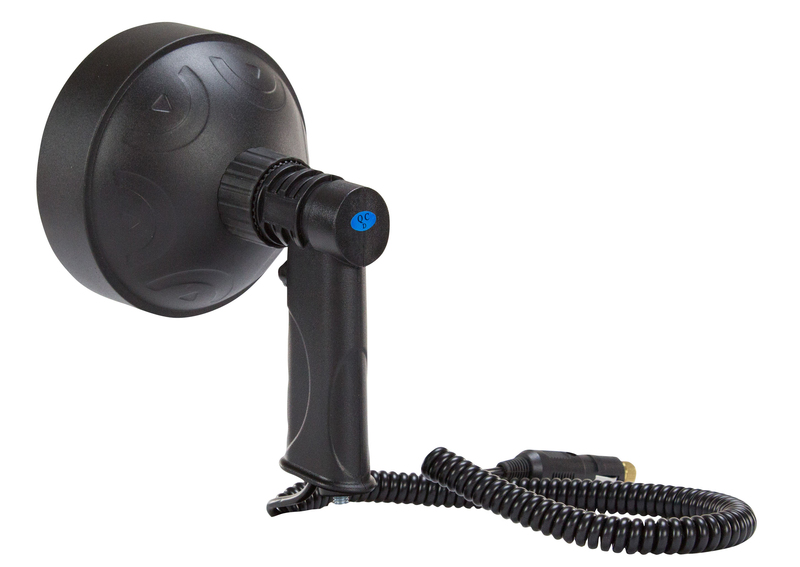 The spotlight is equipped with a spring cord fitted with a cigarette lighter plug and is designed to operate with any 12-24V DC vehicle without any modifications. 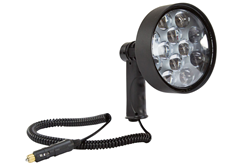 The HL-85-LED-CPR handheld LED spotlight from Larson Electronics is a lightweight, ultra rugged, ergonomic handheld spotlight that operates on 12-24 volts DC with an included sixteen foot coil cord terminated in a cigarette plug. This high output LED spotlight is constructed with seven Cree LEDs and features an advanced reflector and lens configuration to generate a 2,000 lumen light output. Drawing only 36 watts on a low voltage power source, this light produces a beam capable of reaching distances over 1,600 feet. The Cree LED units used in this light generate fifty-six lumens per watt and have a 70% lumen retention at 50,000 hours, giving them better efficiency and a longer operational life than traditional spotlights. This IP67 rated waterproof LED spotlight features an ultra-durable ABS shockproof polymer body, aluminum alloy light head housing, and an impact resistant polycarbonate lens. The unique shape and shallow contour of the 120mm reflector is paired with a convex lens and inset lens positioned to efficiently capture and project a focused beam of light while reducing light spillage. The pistol grip style, nylon handle has a no-slip textured surface to improve grip and has a conveniently placed push button so that the user can easily access the switch with the fore finger for quick on/off operation.